The general elections of April 9-10 saw a massive increase in communist representation in the Italian Parliament. The Communist Refoundation Party vote increased both in percentage and in absolute numbers — from five percent achieved in 2001 to 5.8 percent in the Chamber of Deputies (from 1,867,712 votes to 2,229,604) and from 5.1 to 7.4 percent in the Senate. It will now have 41 MPs in the lower house (up from 11) and 27 in the Senate (up from 3). The Party of Italian Communists (a 1998 split from Refoundation) also fared well. From no respresentation in the previous Parliament it now has 16 MPs in the Lower House and 11 in the Senate (in coalition with the Greens). This is the largest representation of Communists in the Italian Parliament since the 1991 dissolution of the old Italian Communist Party. In spite of a slim majority of votes for the right coalition, the left Union has gained a Senate majority of 159 to 156 seats. The voting for the lower house was clearer and favourable for the Union. The centre-left won by a very small margin of 25,000 votes but under the rules will be in a position to implement its program with 348 of the 630 seats. 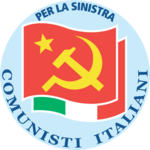 The Communist Refoundation Party will support a government with Romano Prodi as Prime Minister and will take part in it. "A very important step has been taken", said the Party statement. "We defeated Berlusconi. Now we intend to lead Italy towards a change and help the rise of a new alternative left in Italy, which is now stronger after this election."